M∙A∙C Spring Colour 2011 is the feminine force that saves the day! No nemesis can match her super-sized Mineralize Skinfinish, Eye Shadows, Lipsticks and Powder Blush for this transformation! When my BFF, sent me a photo from her phone of the M.A.C. counter decked out and covered with Wonder Woman products, I was totally elated. Anyone that knows me, should know I am a huge Wonder Woman fan! Unfortunately, I wasn’t able to make it to the M.A.C. cosmetic counter for a couple weeks, and when I finely went to the M.A.C. counter at Paradise Valley Mall, I was disappointed to learn that they had sold out of almost the entire collection. Apparently, this limited edition collection was very popular. 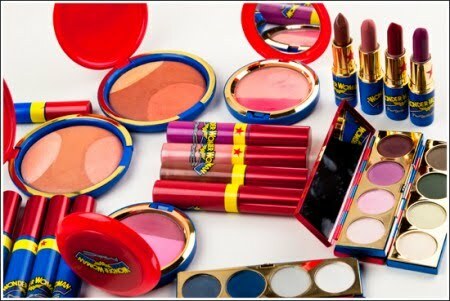 The packaging is nostalgic of the Wonder Woman from the comic book series and the cosmetic M. A. C. has even put together a series of Wonder Woman looks: Classic Wonder Woman, Defiance, Golden Lariat, Deep Truth, Mighty Aphrodite and Marine Ultra. M. A. C. counter at the Arizona Biltmore still has some products available. I would like to send out a huge thank you to all my friends and family that have supported my Wonder Woman addiction. This colorless lip balm really is a drink for the lips. 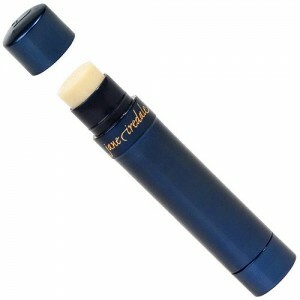 It contains no petroleum-derived products that dry out the lips. People who are regular users of petroleum-based lip balms are on a continual drying cycle – the more they use the drier their lips become. Active Ingredient: Zinc Oxide 8%. 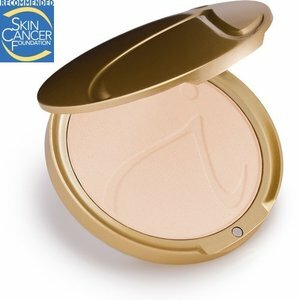 Ingredients: Macadamia Integrifolia Seed Oil, Beeswax, Caprylic/Capric Triglyceride, Sunflower Seed Oil, Avocado Oil, Carnauba Wax, Candelilla Wax, Jojoba Seed Oil, Aloe Barbadensis Leaf Extract, Green Tea Leaf Extract, Lemon Peel Oil, Tocopherol, Ascorbyl Palmitate. 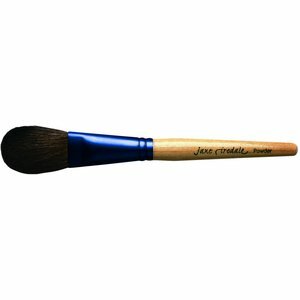 You can find this and other jane iredale products at Paradise Valley Skin Klinic. 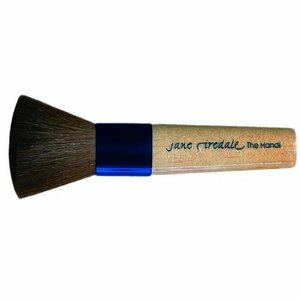 Soft, beautiful and oh-so-kissable lips are yours with jane iredales lip exfoliator/plumper duo. 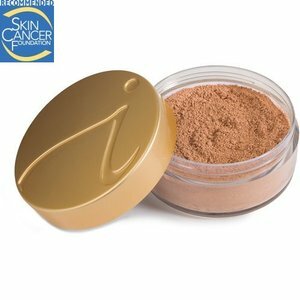 Organic brown sugar gently removes dull, dry skin. With no chemical preservatives or synthetic dyes to worry about, eat the sugar crystals right off your lips! 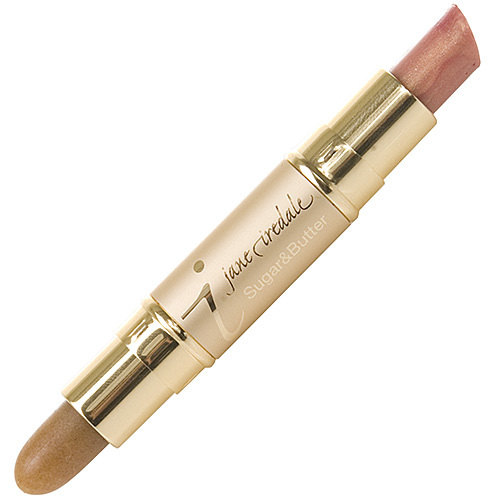 Then, apply the tinted lip plumper with shea butter and peptides that moisten and plump. • You can actually feel this plumper working when the cool mint and ginger ingredients start doing their job! • To condition dry, chapped lips, sweep the organic brown sugar exfoliator across lips to gently lift away dead cells. Then, apply the lip plumper. Ingredients: Turbinado Sugar, Macadamia Integrifolia Seed Oil, Sunflower Seed Oil, Avocado Oil, Carnauba Wax, Candelilla Wax, Jojoba Seed Oil, Aloe Barbadensis Leaf Extract, Tocopherol, Ascorbyl Palmitate. Ingredients: Triisostearyl Citrate, Avocado Oil, Carnauba Wax, Beeswax, Jojoba Seed Oil, Candelilla Wax, Sunflower Seed Oil, Shea Butter, Flavor, Green Tea Leaf Extract, Grape Seed Extract, Ethylhexyl Palmitate, Tribehenin, Sorbitan Isostearate, Palmitoyl Oligopeptide, Cranberry Fruit Extract, Tocopherol, Ascorbyl Palmitate. May Contain: Mica, Iron Oxides. MAC Lipglass: Lip Gloss So Nice, I Bought It Twice. 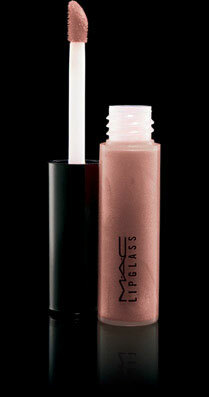 I spotted this beautiful gloss at the MAC counter, and had to have it. When I got home I realized, I already had this exact gloss already. ( Am I the only one that has done this? ) I guess, that proves how much I like it. It is such a great everyday color. The best thing about this color, is that it works with everything. 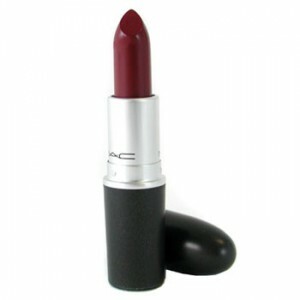 It’s an ideal shade, if you are playing up the eyes, and you don’t wan’t to do a dark or bright lip. Viva Glam V is neutral, but not boring or “muddy”. This works well on it’s own, or over a lipstick. I am including a few lip products that I pair with this gloss. 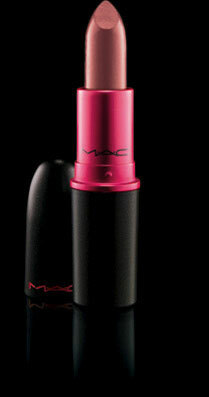 M.A.C ‘s Viva Glam Lipgloss and Lipsticks, don’t just look nice they support a good cause! 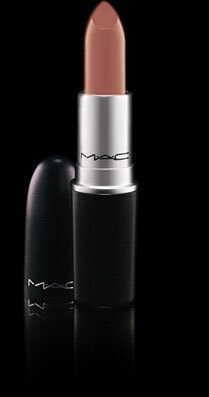 Every cent of the selling price of Viva Glam Lip Stick and Lip Gloss is donated to the M.A.C. AIDS fund, to support men, women and children living with HIV and AIDS. 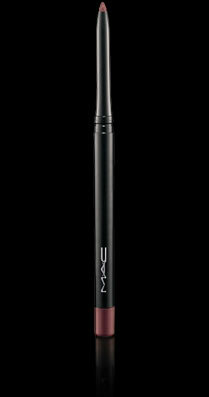 A creamy, highly pigmented, retractable lip liner. Lightweight and smooth. What is your favorite lip product ? 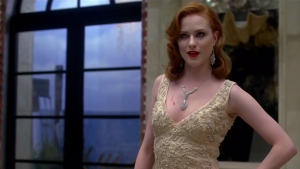 With the popularity of shows like True Blood, Vampire Diaries and the Twilight series, it shouldn’t come as a surprise that vampires have become a fashion inspiration. 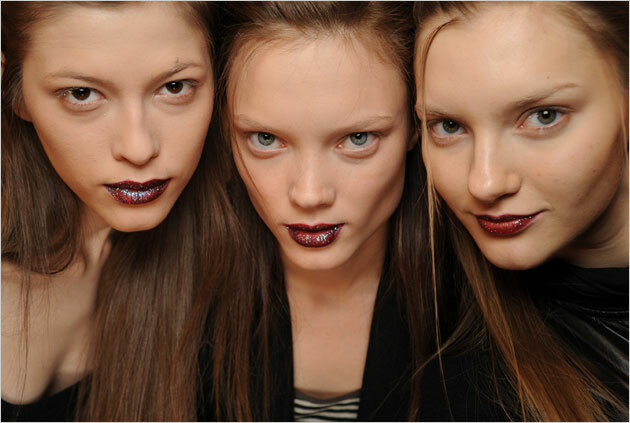 One popular beauty trend this fall is vampire inspired makeup. Pale faces and dark red lips were found on runway models for designers like George Chakra and Dolce Gabbana. This is one of the looks from Dolce Gabbana. This look was created with three shades of red lipstick from Dolce Gabbana. Devil ( blue-red), Dahlia ( deep merlot), and Ultra ( rich, dark crimson). To create depth, use the darkest color (Ultra), in the center. Scarlett Johansson for Dolce Gabbana. Makeup artist Gregory Arlt used M.A.C. cosmetics on models for George Chakara. Check out www.hollywoodnoirmakeup.com for more makeup tutorials. More vampire inspired looks and plenty of vintage styles as well. You don’t have to be a model to look like one, thanks to Arizona’s own Professional Make-up artist Heather Wilson. Heather has been a makeup artist for over 15 years, in fact you have probably already seen her work on television or in one of many magazines, including the cover of Arizona Bride Magazine. Heather specializes in airbrush and hi-def makeup, so she can cover breakouts and imperfections and make it appear as if you didn’t have any makeup on. She has an expert understanding of the way makeup will appear in photos and on camera, which is very different than the way it looks in person. Glancing through her impressive portfolio, you might be surprised to find out that she will do makeup on location for weddings or any event you want to look your best. You can have Heather come to your house and do your makeup for any occasion, whether you are having photo’s taken or just a night out with friends. 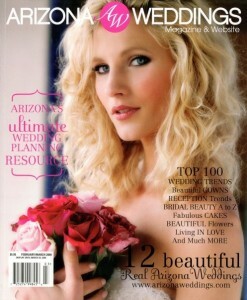 Look through the pages of Arizona Weddings Magazine and you will understand why she is in such demand with Brides. She has mastered the art of bringing out a woman’s natural beauty. Most brides know they should do a trial-run with their hair before the big day, they should also do a trial-run with makeup as well. Heather meets with brides before the wedding, spending up to two hours, going over possible looks, and makeup application. Everything is then documented so that on the wedding day, makeup application takes less than an hour. 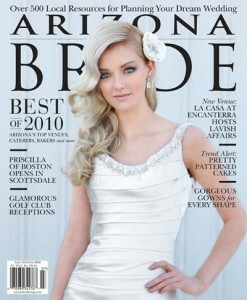 You can contact Heather Wilson at www.makeupbyheatherwilson.com to book for an event and discuss pricing. Look Like Yourself, Only Better with Permanent Cosmetics. I have had permanent makeup tattooed on my eyebrows for years now, and I love it. The question I get asked the most is, “did you shave off all your eyebrow hair?” No, I still have hair on my brows. I even wax them to maintain a clean look. I had my brows tattooed to fill in areas that were a little sparse, and give a nice shape, the same way you would use a brow pencil. The biggest difference is, it looks more natural, it doesn’t wash off, and when I wake up my brows are done! Contemporary micropigmentation techniques are used in eyelash enhancement, the creation or enhancement of eyebrows, eyeliner, and permanent lip liner or full lip color. 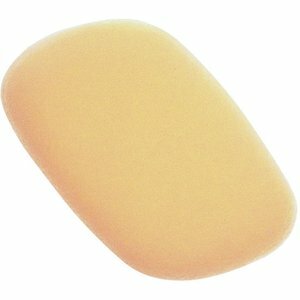 Also available are advanced techniques for areolar reconstruction and the application of beauty marks. Some maintenance may be needed to keep color fresh, a touch-up every year- or-so, is recommended. Angela Justus is a Medical Esthetician and makeup artists, specializing in cosmetic tattooing. 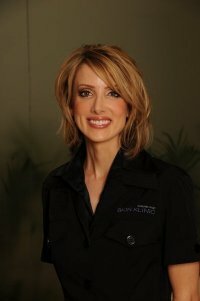 She has been working in medical esthetics in Scottsdale and Paradise Valley for over 10 years. I personally, had Angela do my cosmetic tattooing. She has a very artistic eye, and a gentle hand. She uses a topical anesthetic and a dental block when needed, so the treatment is not painful. 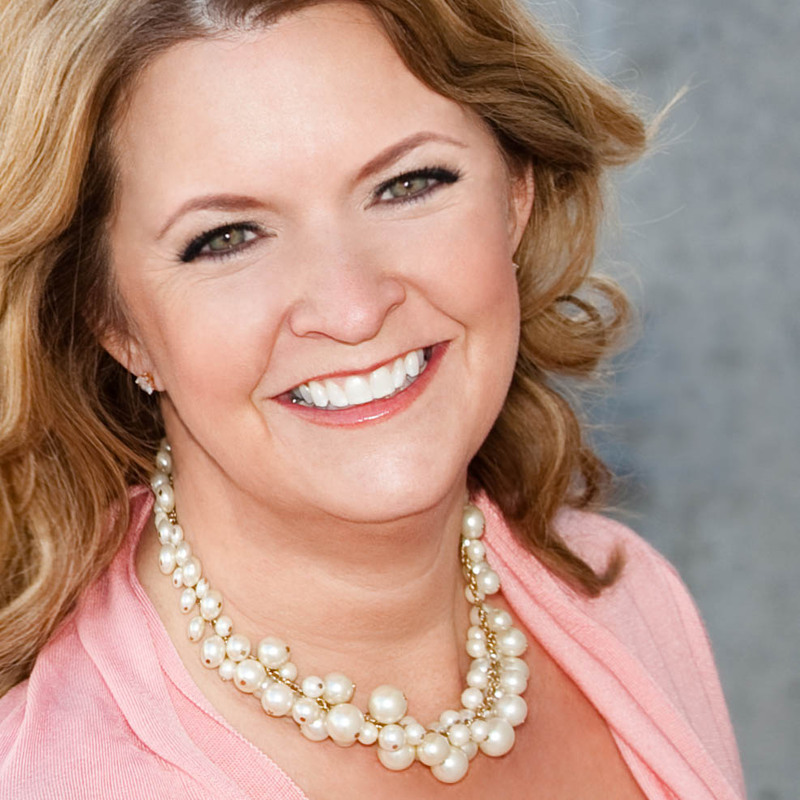 You can schedule a treatment or consultation with Angela at Paradise Valley Skin Klinic. Price includes a touch-up, 4 weeks after first treatment. $500. 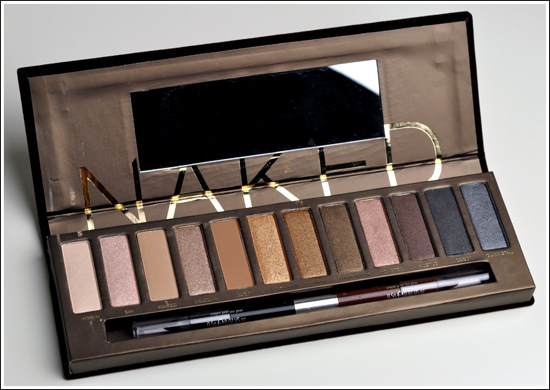 for eyeliner, lipliner, and brows. – Maintenance touch-up $100.